New Spin Milled TX3 grooves, the third generation of Vokey’s tour extreme scoreline, produce maximum spin for improved trajectory and distance control. TX3 scorelines – with two different performance configurations – feature 17 precise, individually cut and 100-percent inspected grooves that continue to push the conforming limits of effective edge radius for increased backspin. 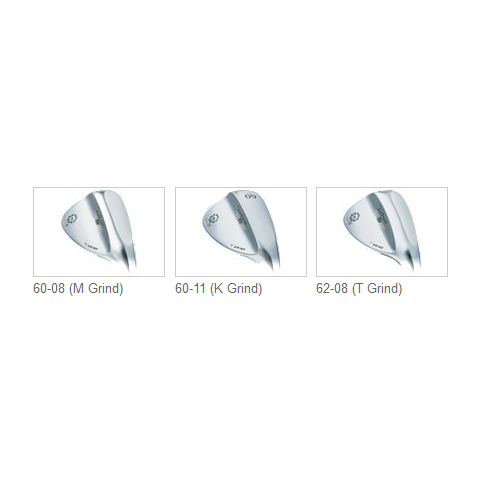 TX3 grooves in the 46º to 54º lofts are deeper and narrower than the previous generation Vokey SM4 grooves. 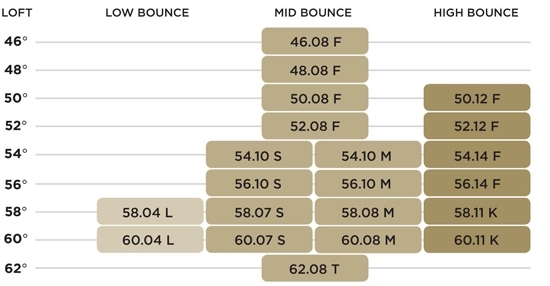 With seven percent larger volume, each groove better channels away grass, sand and debris for cleaner ball to edge radius contact and increased spin. The narrower geometry delivers precision distance and trajectory control, significantly reducing the chance of “flyers” from the rough. 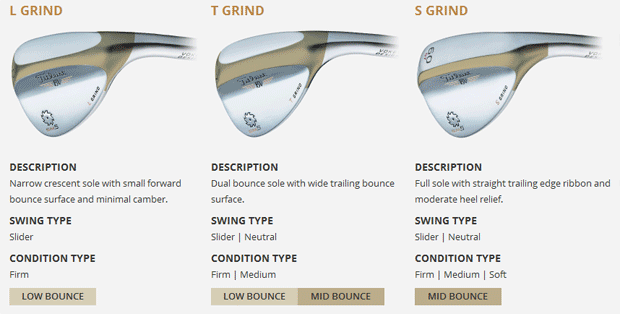 TX3 grooves in the 56º to 62º lofts take advantage of the highly precise Spin Milled process. They maintain the same width as the prior generation but are deeper, with seven percent larger volume, for more spin and control around the greens. 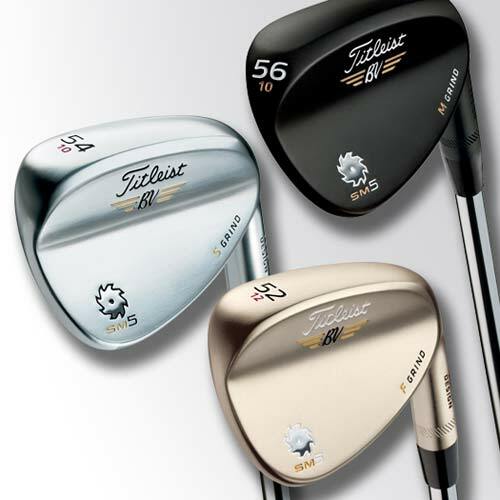 Most players will experience up to 500 rpm of additional spin on full shots from the rough with the lower-lofted SM5 wedges, and up to 400 rpm in the higher lofts, compared to previous generation SM4 wedges. Both configurations provide the same spin performance from the fairway and shorter grass. 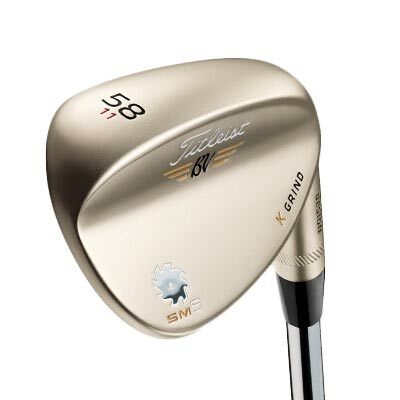 With more bounce and sole grind options, as part of an industry-leading model matrix, Vokey SM5 wedges provide the versatility for improved shotmaking, giving players the confidence to execute more shots around the green. 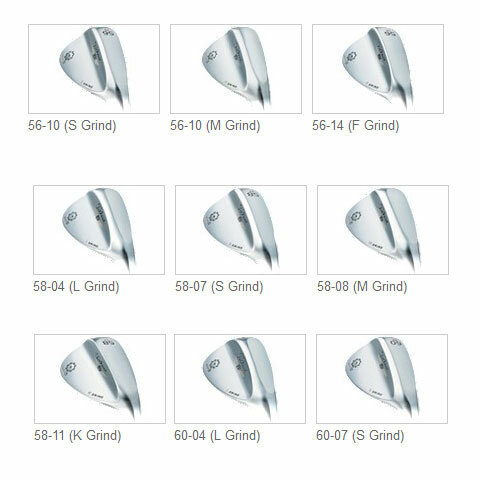 Spin Milled 5 wedges are available in lofts of 46º to 62º (in two degree increments) and six tour-inspired sole grinds (L, T, S, M, F and K), with each model properly sorted into low, mid and high bounce categories. The result is the game’s most extensive and effective selection of bounce and grind options, made up of 21 different loft/bounce/grind combinations to satisfy all swing types, shot-making styles and turf conditions. Two of Vokey’s most popular grinds – S and M – are now available in 54º, 56º, 58º and 60º lofts. 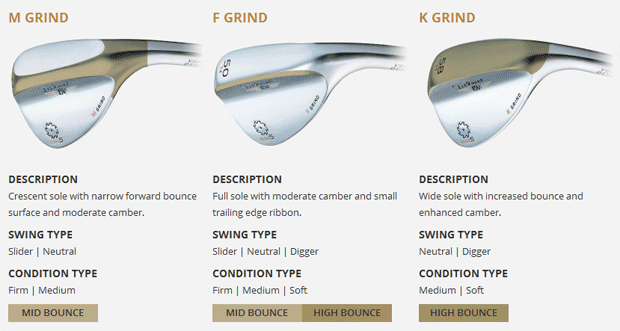 There are also four bounce and grind choices in the 58º and 60º lofts, including the addition of the new K Grind, which played a part in two major championship victories last season. 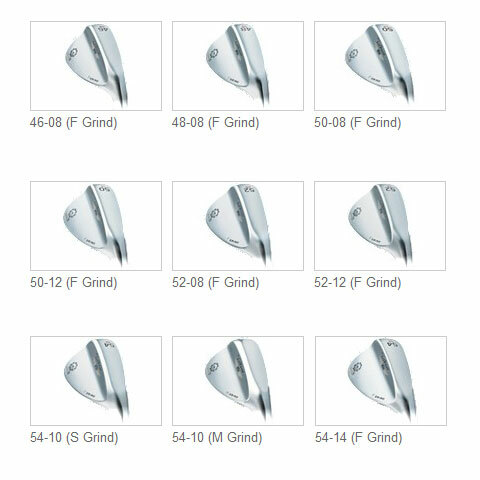 The 46º to 52º F Grind models feature wider soles for increased playability, while the 54º to 60º M Grind models have enhanced heel to toe radius for improved turf interaction.